In February, I was excited about the four Autavias that TAG Heuer has introduced over the past year, and have two of them in my collection. I wanted to write a review of all four models, so I borrowed the two that I didn’t own; spent a couple of evenings with my camera; tapped out the first thousand words of a posting; and seemed ready to post the definitive review of these four TAG Heuer Autavias. It was mid-March and I was half-way done with the posting . . . this was smooth sailing, all the way. It would be a fun posting. Others have written detailed reviews of these four Autavias, but I was enthusiastic about publishing the first posting to cover all four of them, side-by-side. And I couldn’t imagine that anyone else had strapped all four models to a box level, suspended them with Magic Arms, put them under 2000 watts of light, and taken the family photo. Yes, I was excited about this posting. The first sign of trouble came with the request from a friend at Hodinkee to borrow my vintage “Orange Boy” Autavia for a photo shoot. Suspicion morphed into alarm when the crew at Hodinkee shared a photo showing the fifth Autavia to be introduced, on May 31, 2018 — the TAG Heuer Autavia for Hodinkee, which we all know will forever be called called the “Orange Boy”. Just a few minutes ago, Hodinkee officially announced the availability of the new “Orange Boy” Autavia for Hodinkee. On November 11, 2017, in Geneva, Switzerland, Phillips auction house will offer for sale 42 vintage Heuer chronographs, assembled as “The Crosthwaite & Gavin Collection”. Almost all these watches span the period from the early 1960s through the mid 1970s, the period when Jack Heuer was at the helm, as the fourth generation leader of the Heuer brand. A 43rd watch will be included in the sale, Serial Number 1 of a limited edition TAG Heuer being offered on the occasion of Jack Heuer’s 85th birthday, in November 2017. 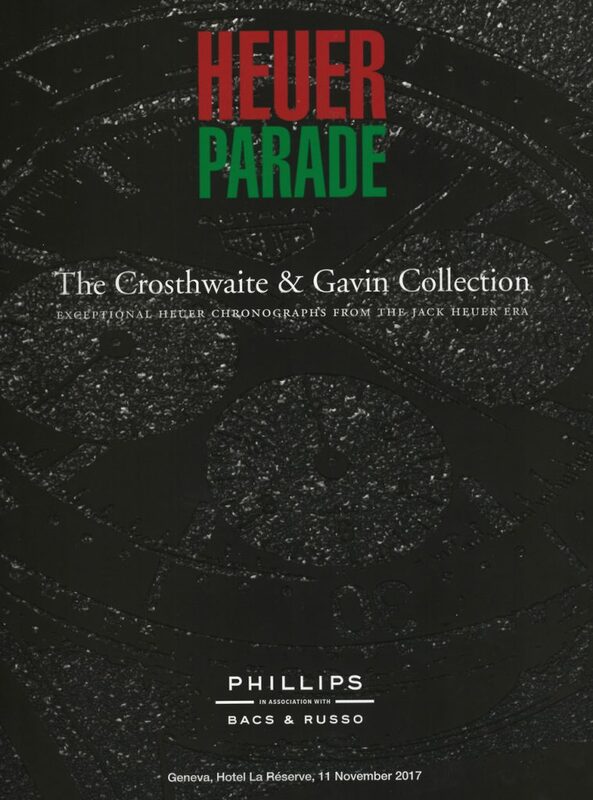 Phillips is presenting this auction as the “Heuer Parade”, and has produced a magnificent printed catalog with full details and photographs of the watches. This printed catalog is presented in seven chapters, each of which presents a different aspect of Heuer’s history (for example, motor sports, race timing and military-issued watches). The following is an overview of the 43 watches included in the “Heuer Parade”. Click on any of the thumbnails for a high resolution photograph of the watch. There are 34 lots of Heuer chronographs and stopwatches in the sale, and this posting will serve as your quick guide to those watches. You can click on any of the images shown below to see a high resolution photo of the watch; alternatively, visit the gallery at the bottom of this posting, to click through each of the Heuers. After the sale, we will update this posting to show the results. TAG Heuer introduced its new Autavia in March 2017, at Baselworld, and the watch is now available worldwide through TAG Heuer dealers. I purchased my new Autavia in May, and have provided my impressions of the watch — through the first eight days on the wrist — in an interview with Stephen Pulvirent, which has been published on Hodinkee. The posting below offers some basic information about the new Autavia, as well as some “live” photos from my first month with the watch. 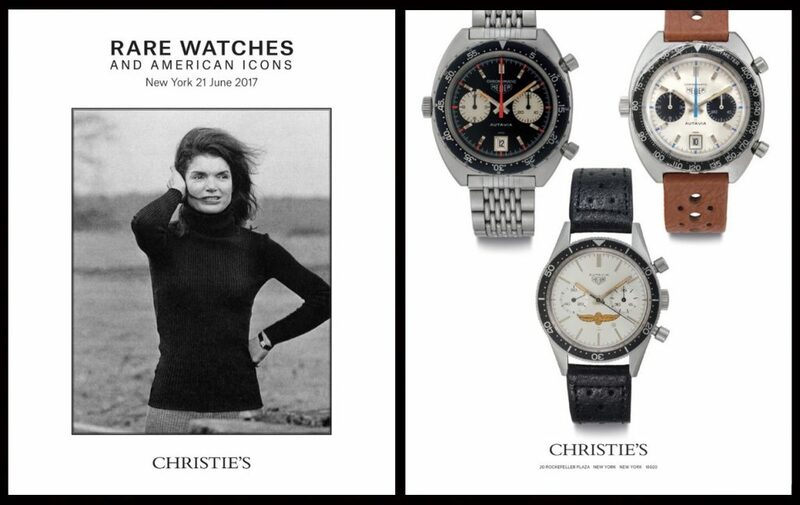 November and December are always busy months for watch auctions, and in Fall 2016 the vintage Heuers were well represented in auctions conduced by Phillips, Christie’s, Sotheby’s and Watches of Knightsbridge. In this posting, we show the 45 Heuers that were offered in these auctions, together with their “final prices” (comprised of the hammer price plus the applicable buyer’s premium). In addition, we feature one unusual vintage Skipper, that was sold by Fellows. For readers who want to do additional research, we provide the links to all the auction catalogs. 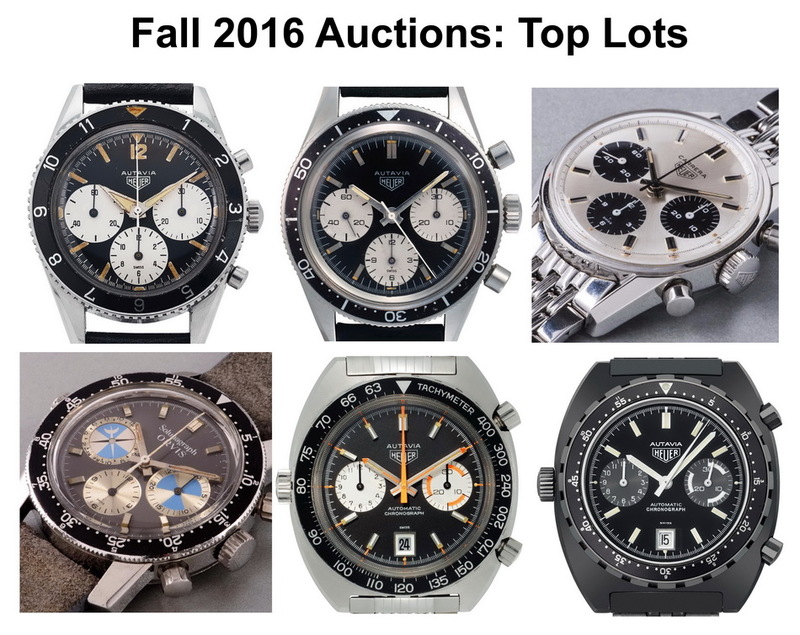 The following image shows the six vintage Heuers that sold for the highest amounts at these Fall 2016 auctions. 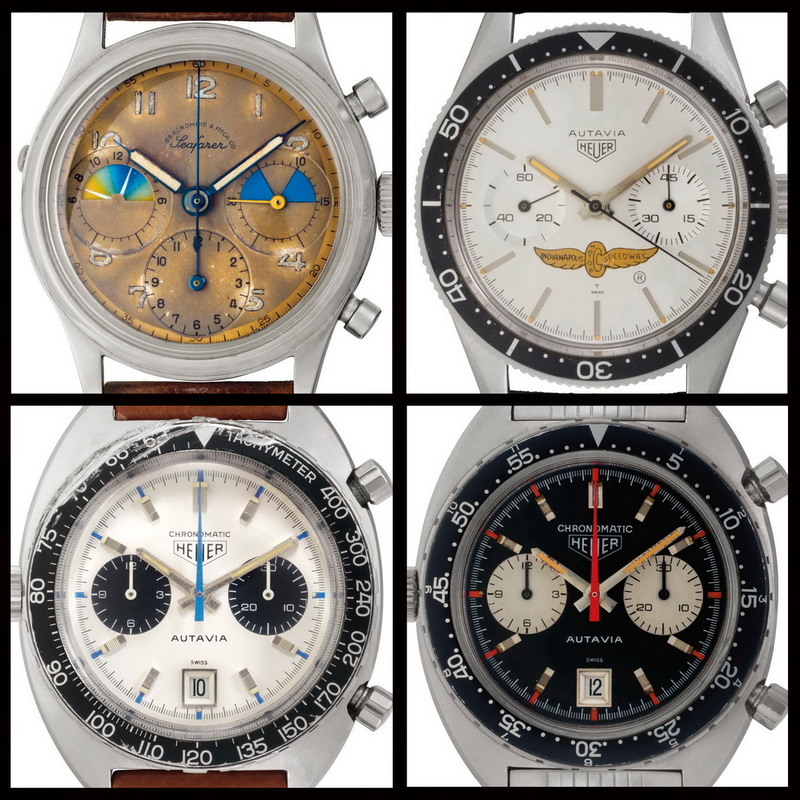 Prices were as follows: Top Row — Autavia, Ref 2446 (Big Subs), for $125,000; Autavia, Ref 2446 (Rindt), for $43,750; Carrera, Ref 2447 SN, for $40,480. Bottom Row — Orvis Solunagraph, for $50,600; Autavia, Ref 1163 (Orange Boy), for $50,000; and Autavia Ref 113.603 (IDF-issued), for $63,614. 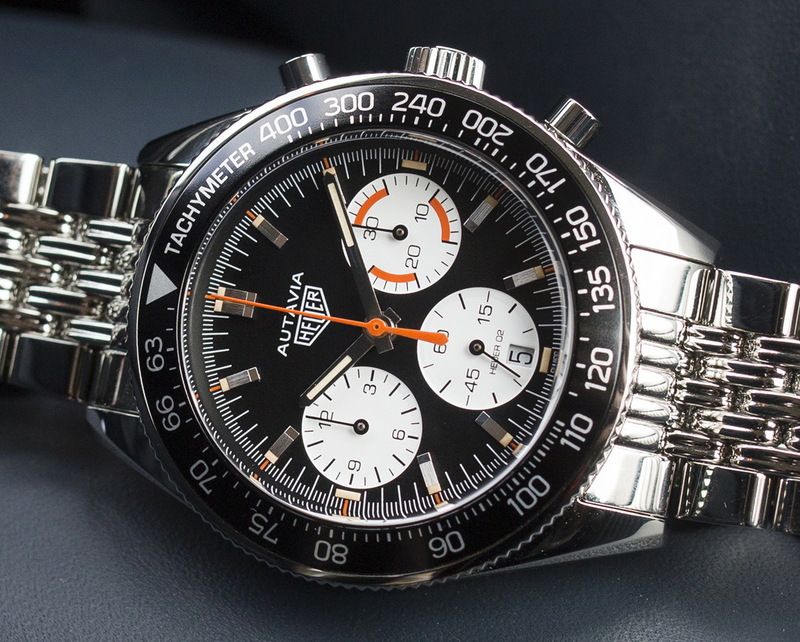 On March 10, 2016, TAG Heuer announced that it would re-issue the Autavia in 2017, and that it would stage the “Autavia Cup” competition for enthusiasts to select the vintage Autavia that would inspire the new model. This morning, 377 days after this announcement, TAG Heuer has released the first images of the new Autavia, along with full details about the watch. 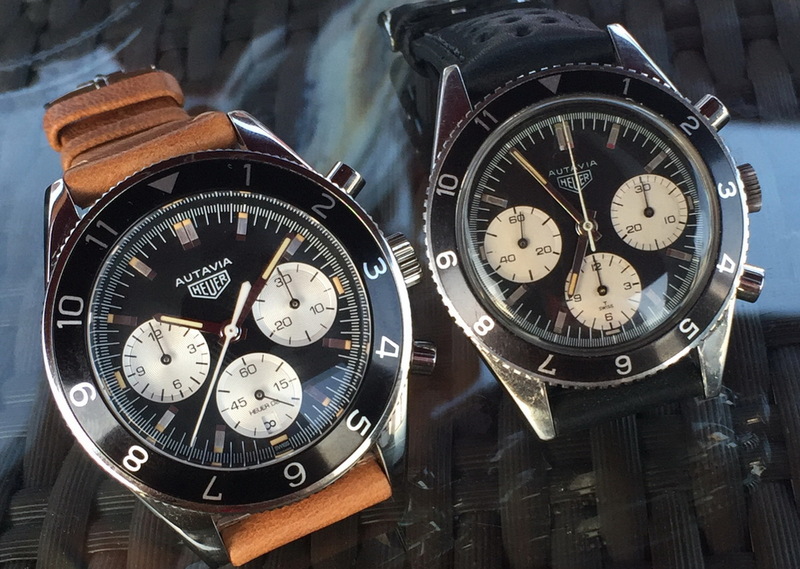 The winner of the Autavia Cup, the “Jochen Rindt” Autavia, circa 1966, alongside the new 2017 Autavia. Images sized to scale, with the Rindt being 39 millimeters and the new Autavia being 42 millimeters. Three days from now, on March 23, 2017, TAG Heuer will introduce its new Autavia, at the Baselworld show. Today, we provide the essential background information to introduce the newest member of the TAG Heuer family. While we are confident that the new Autavia will stand on its own, it may look even better to those who appreciate the watch’s rich history. On September 11 through 13, 2016, TAG Heuer hosted its first Collectors Summit of the Jean-Claude Biver era, at company headquarters in Switzerland. 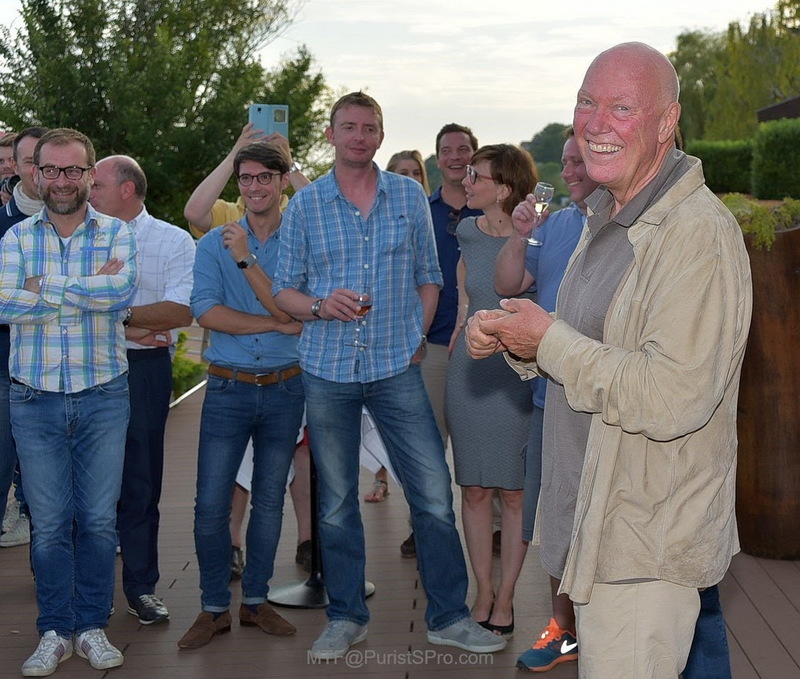 To open the Summit, Mr. Biver (CEO of TAG Heuer and President of the LVMH Watch Division) welcomed the Summit participants at the Hotel Palafitte, in Nauchatel. 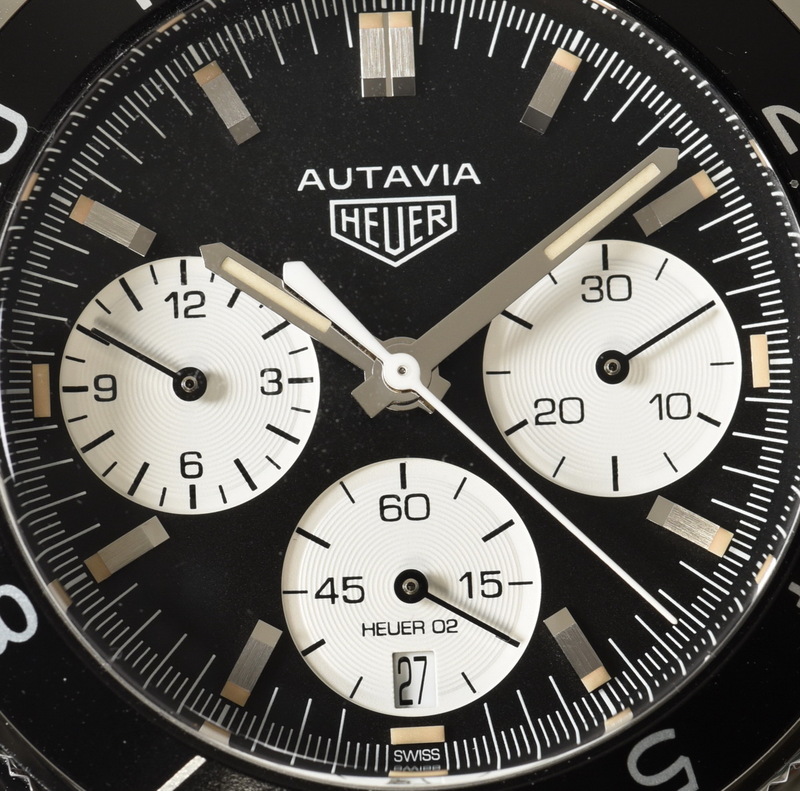 The following day, Summit participants would be the first to see TAG Heuer’s new Autavia and, to open the Summit, Mr. Biver provided his introduction to the watch. More than introducing the new Autavia, Mr. Biver’s remarks describe how TAG Heuer will use its unique portfolio of historic chronographs to inspire the development of new watches for the brand. 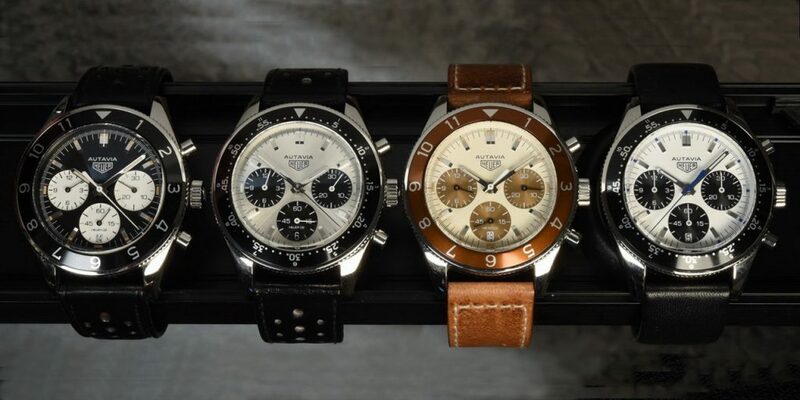 His remarks introduce the new Autavia, but more importantly they introduce a new era for the TAG Heuer brand. 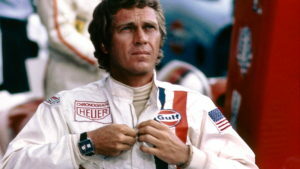 There are few associations between a hero and his watch that have the enduring strength of the connection between Steve McQueen and his Heuer Monaco, worn in the film Le Mans. 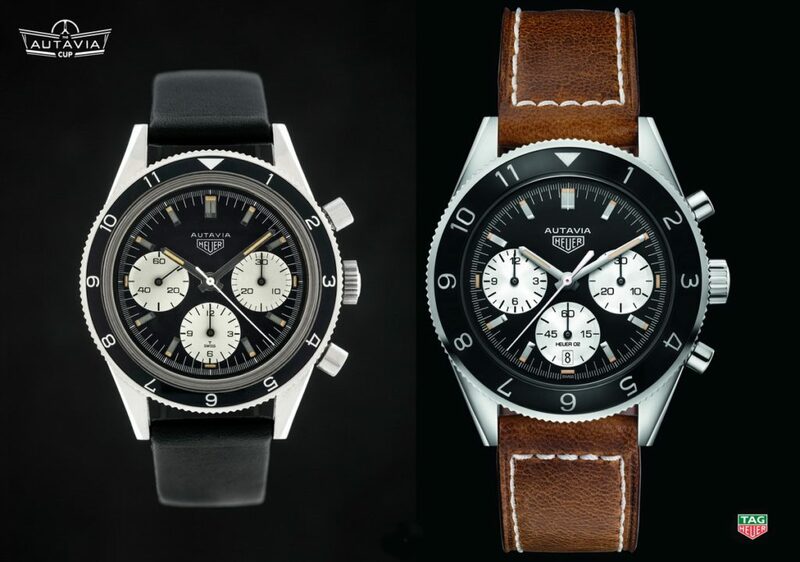 Introduced in 1969 and worn by McQueen in 1970, the “McQueen Monaco” has been re-issued in numerous configurations over the last 20 years. 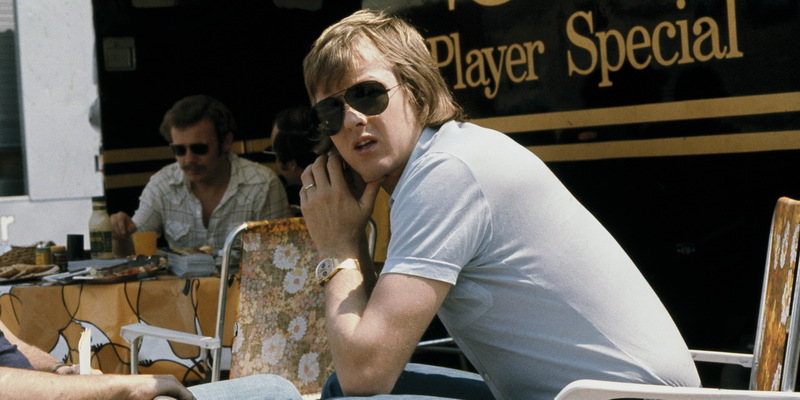 Pick up a magazine or visit a mall, and we see the images of the “King of Cool”, his Porsche 917, and his racing suit and racing watch. Remember the Good Old Days . . . Before OnTheDash? I Said: Wanna Have Lunch? He Said: Sure. Wanna Buy a Watch?